Upon arrival at Cape Kidnappers, you're invited to enjoy an afternoon at their leisure. This first day in our care concludes with evening cocktails and canapés, followed by a welcome dinner joining fellow members in the lodge. You’ll start your day with the challenge of our dramatic 18-hole golf course, designed by architect Tom Doak. The format for the first round will be Best Ball Ambrose. After the round, share stories of magnificent shots and beautiful scenery over lunch in our golf clubhouse. In the afternoon experience a very special Sanctuary Discovery Walk. This is an incredible opportunity to interact with the kiwi bird – best recognized as the national symbol of New Zealand — and an opportunity that can only be experienced as a guest at Cape Kidnappers. Sanctuary manager Beau and his team will lead you on an adventure across the property in search of the New Zealand Brown Kiwi. Using radio tracking and monitoring devices, you will take turns searching for this elusive, flightless creature. Once found, guests will have a chance to get up close and personal with one of New Zealand’s most endangered and rare birds. Beau will then introduce you to one of the few very special Tuatara who have been released and are now thriving at the property. The Tuatara, a species only found in New Zealand, is the last surviving member of the dinosaur family with a lineage dating back more than 200 million years. Pre-dinner drinks and dinner are at your leisure this evening, to be enjoyed at a time that suits you in the lodge dining room or one of the private dining spaces available. Your morning will begin with a private golfing clinic by the golf team at Cape Kidnappers. This will be a short game lesson around the putting green outside the front of the clubhouse. After the clinic you'll embark on your second round which will be a Strokeplay Best Ball format with your partner. Lunch will be served at the golf clubhouse. Their will be a scoreboard displayed outside the pro shop. In the afternoon you'll enjoy the following experiences; A tour of the farm's vegetable gardens, a wine tasting and a photography workshop. You’ll end this remarkable day with pre-dinner drinks at Black Reef, followed by a gourmet BBQ dinner at the clubhouse. Depart the lodge to the course for your last full day of golf, and last day of competition play. This format will be a Strokeplay Best Ball with your partner. Lunch will be served at the golf clubhouse. Prize-giving will begin as soon as every golfer has finished their round. At the conclusion of prize-giving all guests will have the afternoon at their own leisure. The lodge can offer a range of great experiences to choose from if need be. These include 4x4 property tours and spa treatments at the lodge. Note: Stargazing experience will be available depending on the weather each evening. Following a relaxed breakfast the Classic at Cape Kidnappers concludes. Please enquire with the Eighth Wonder Team, who will be happy to discuss in detail are range of fantastic options pre or post your stay in New Zealand. Total price is: NZD$ per person. Based on double or twin occupancy. 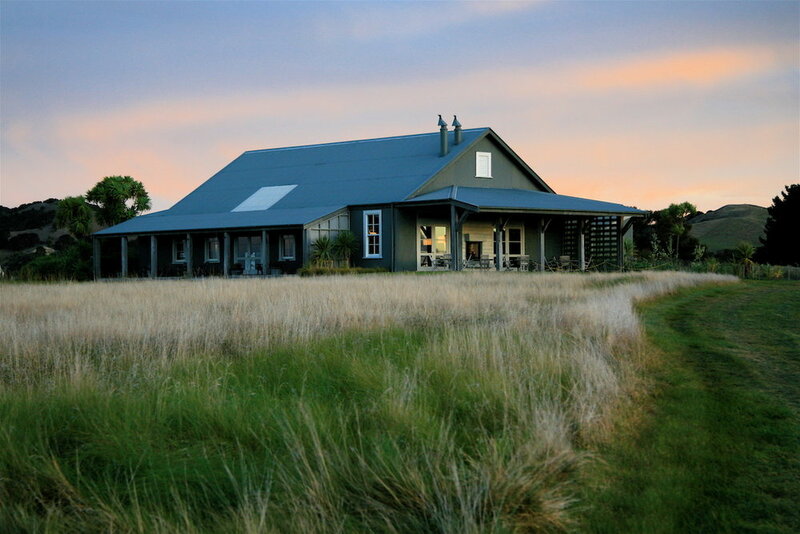 A total of 4 nights accommodation in category suites at The Farm at Cape Kidnappers. Pre-dinner drinks and canapés, gourmet dinners, full breakfasts, lunches, and complimentary non-alcoholic mini-bar for each night stayed. 3 x 18-hole rounds of golf at Cape Kidnappers. Each round of golf includes electric cart. - Daily prizes include rounds of golf at Kauri Cliffs and Jacks Point. Cape Kidnappers logo'd golf polos and jackets for longest drive and closest to the pin. The Classic at Kidnappers includes the services of a dedicated host to facilitate your group’s needs during your stay.